So, I’m chatting with a new friend last night and he is a financial planner. Although we did not go deep in to investment portfolios, planning, options, and bonds, we did share a few meaningful moments discussing finance. Here is what I have learned…. If you had a million dollars, to spend frivolously, you probably shouldn’t. While it takes billionaires a long time to realize that they have a million dollars that they can afford to spend however they like, they usually don’t. When they do spend, in that way, they give charitable donations. This is also a way to save themselves money later on. As I head out to the malls to buy my family a few trinkets, I will keep in mind that it is not important how much I spend. It is, however, the thought that counts. Just because we say that we want to do something does not mean that we don’t have the capacity to do it. The only limits we have are those we place on ourselves. Will the novel be finished by the first of the year? YES…I have two weeks of vacation time to sift through the 75,000 words of this thing and get it to the editor. Will I finish my dissertation and become Dr. Arenas this year? Hopefully. I don’t want to count my chickens before they have hatched but my financial future looks promising and I will be able to pay my tuition out-of-pocket. I will not and I can not take out another loan for my educational needs. This was a valuable lesson for me. I am now better able to motivate my son to seek out scholarships and find alternate sources to pay for his education. Student loans are not the way!!! While I am thankful for the opportunity to get an education; I can do without the debt. Will I continue to raise two active little boys??? Of course, YESSSSSSSSSSS!!!! They are not going backwards they are moving forward. They are growing; getting bigger; getting smarter; getting stronger; making more demands of my time, energy, and resources. They may not be listed first, but they are my first priority. Crown molding and paint…maybe I can teach my Gents to do that! Have your dreams been crushed? Don’t look at it that way. Your perception is your reality. The way that you perceive things to be is the way they are. Visualize your dream as being your reality and it will be so. Visualize failure, disappointment, deceit, abandonment, and disloyalty; and it will materialize. The people with whom you interact project their energy on to you. Stay away from dream killers. If you believe that you possess positive energy, good. Let that be what you attract. It is not your job to change others into positive individuals. You may find that their negative energy will attach to you and further attract negative experiences into your life. Subtract yourself from those types. Eliminate them from your daily life. Allow people to seek for themselves the benefit of positivity. Negativity is something you truly don’t want or need in your life. Negative spiritual energy is real. Haters ARE REAL. When haters insinuate themselves into your life; you must increase your belief and trust in something greater than yourself. You must ask for intervention from that spirit greater than yourself to act on your behalf. Ask for what you cannot discern to be made clear to you and it will. Let God be God. Spend time with the people who make you feel worthy, who are excited about who you are, what you have to offer, who multiply and add to your life. Avoid people who behave as if you cannot be trusted, that they are doing you a favor by being your “friend”, who seek-out your flaws in an effort to magnify them to others, who degrade you (“jokingly”), who divide and subtract from your life. Sounds obvious, right? You would be surprised. I have many conversations with friends and family members, my age and older, who still experience this dysfunction in inter-personal relationships. These experiences do not end in middle school! If you are fortunate enough to have lived a positive life and are “smart” enough to surround yourself with “good” people. Congratulations…keep living. There is a season for everything in everyone’s life. For those who have seen the other side of the coin, have been in situations that have caused this type of self-analysis, who had the difficult task of discerning another person’s energy; I hope that you take these tips to heart. Approach all of your dreams with God’s love attached. I am a single mother of two boys. They say, only a man can teach a boy to be a man. Well, I am not a man, and we must do what we must. I have seen the face of AIDS. I lived with it. I was forced to move in with my sister’s good friend when I was a freshman in college. I got into an altercation with my roommates/friends and my choices were to pack my bags and go home, or move in with Chaz. Chaz had full blown AIDS. It was 1992 and the developmental research and drug therapy available then was not as progressive as it is today in 2010. He had to take a long list of pharmaceuticals to keep him alive. He had baby fine hair (much like a Cancer patient’s new-growth after chemotherapy), sallow looking skin with breakouts of Kaposi’s sarcoma, and other bruising and scars all over him. He was rail thin, a walking skeleton with skin. He was, however, kind enough to open his home to me when “friends” turned their backs. I will never forget him for that. I was 17 years old, a freshman in college, and had never been away from home for longer than a few days. Needless to say I was afraid. I thought…could I catch AIDS if I drank from a glass he drank from? Would I catch AIDS because I live under the same roof with him? The obvious answers to those questions are no. Because of him, I started getting tested back then and today I am still HIV negative. I ended up making the Dean’s List Honor Roll that semester. I gained a powerful education, not only in human resiliency but in what it means to be someone’s friend. Chaz has long since passed away. When he was HIV negative, he was a DJ, a dancer, an aspiring actor, and the life of the party. He did not know that his lifestyle would cause him to die an early death. I know several people who have passed due to complications related to AIDS. I know several people who are LIVING with HIV/AIDS. They take therapeutic prescriptions that help to sustain their lives. They are survivors who know that life is precious. They are human vessels of knowledge and will share with you the secret to true happiness. People with HIV/AIDS are not the enemy: AIDS is the enemy. 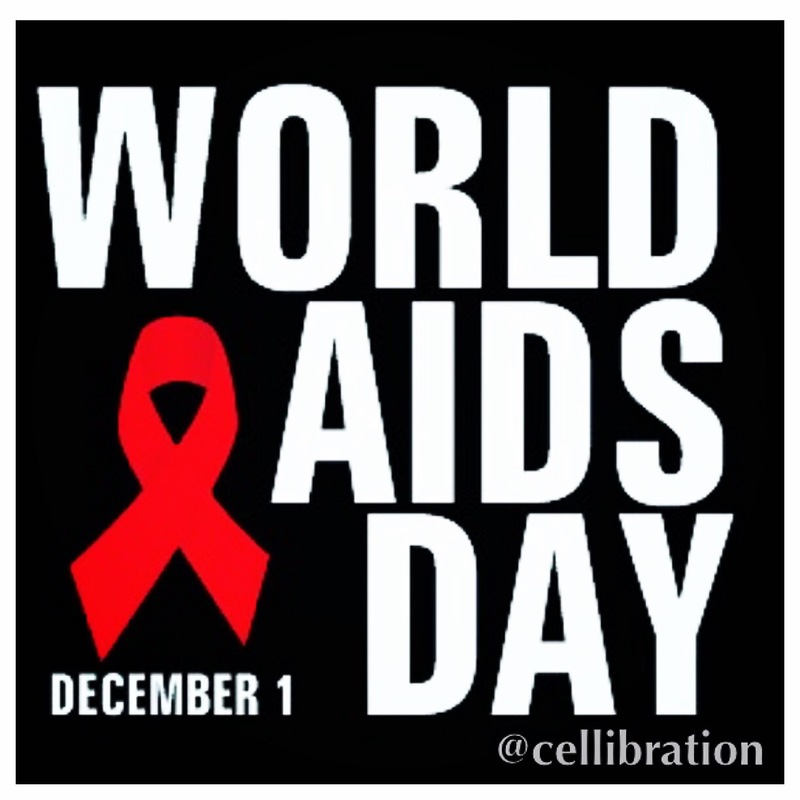 As of 2007 over 33 million people have been diagnosed with HIV, over 200 thousand children have died. Today’s demographics exceed those numbers significantly and are still growing. Is it sad? Yes. Is it preventable? Yes. Is it possible to live a happy and productive life with with HIV/AIDS? Yes. Do you know your status?